In the hospital setting lots of codes are used to notify personnel of important and dangerous events. For instance, Code Blue means cardiac arrest. Code White generally means stroke. Code Pink means an infant has been kidnapped. Code Black can mean act of terrorism or bomb is on the premises depending on the hospital. Code Red or Orange generally means fire. 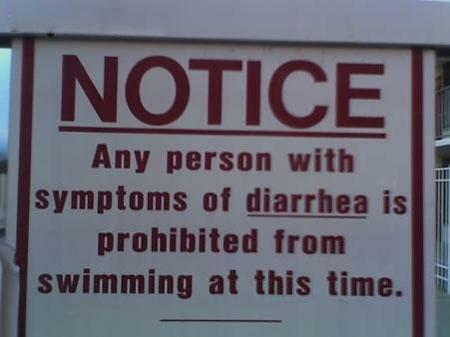 Code Brown is much much more dangerous... it's patient diarrhea. 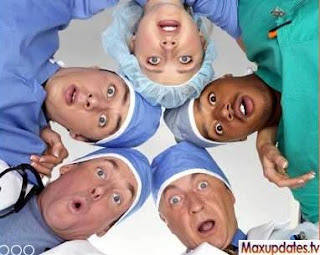 I was rounding with the usual herd of doctors and medical students, when we came into the room of an inebriated patient. He was a frequent-flyer for his alcohol and was on a withdrawl protocol which included him wearing nothing but a hospital gown. When asked who he was he stood up proud and tall and said, "Abraham Lincoln." Just then a tsunami of liquid brown Montezuma's revenge shot out of him all over the floor and on the shoes of a couple residents. After a few girly screams from the men, someone shouted, "Code Brown!" You should have seen the stampede of doctors rush out the room. I think my attending physician knocked over a couple nurses and a beefy orderly to get out. People were flying. Doctors were gagging. One managed a "Diaper change stat!" between his dry heaving. Only the third year medical student remained in the room like a deer caught in headlights. The poor guy froze in terror as the Great Stink filled the air around him in tufts of gas that smelt worse than-a-skunk-taking-a-bath-in-a-garbage-can-after-eaten-a-rotten-corpse. Fortunately, the nurses rushed in to save the day. Nurses are heroes. In the wilderness and disaster setting, diarrhea is not so comical. It actually can be life-threatening. Cholera-- which is a glorified name for explosive watery diarrhea-- killed thousands in the past and still kills many in developing countries today. The mechanism by which diarrhea becomes dangerous is through the profuse excretion of vital electrolytes in the constant bowel movements. It is through an osmotic effect in your bowel. Yep, that's definitely what you want to read about. You've set down with a big beefy burger about to take a bite and I'm talking to you about explosive bowel movements. Yummy. Anyway, back to what I was saying before: this massive electrolyte loss results in heart arrhythmias which develop into heart attacks. So the Centers for Disease Control and the World Health Organization have developed inexpensive means to counterbalance this. 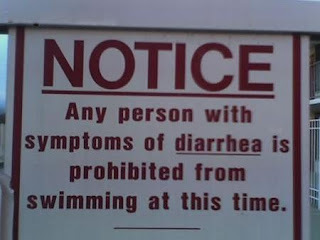 Now just so we are on the same page: I'm only talking about diarrhea here and am not including dysentery (bloody diarrhea), pandemic flu (unless it is a strictly diarrheal flu), and zombie attacks (which cause you to crap your pants). The first part of the treatment: Measure the diarrhea/liquid lost from the body and give the patient the exact same amount in clean or sterile fluids. First option: Mix one Liter of clean (sterilized, boiled, or filtered ) water with Two Tablespoons sugar and one-half tablespoon of salt. Mmm yummy. Second option: Pedialyte, Infalyte or equivalent medical electrolyte drink. Moderately expensive. Third option: 1/2 strength Gatorade. I like this one personally. Gatorade is always on sale. And the mixture is one part water and one part Gatorade. Simple. Quick and it replenishes fluids and electrolytes at the same time. 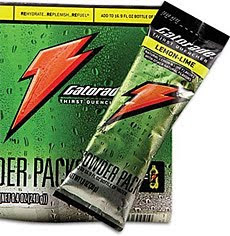 Fourth option: Hikers electrolyte packs. One pack per liter of water. Fifth option: I call this the kid friendly option is fruit pops, popsicles, or Jello. Man, I love Jello's versatile nature. In disaster settings, profound cases of diarrhea appear when sanitation gets ignored in the face of calamity. I know. I know. The last thing on your mind when an earthquake or tsunami hits your house is "darn, now where am I going to go the bathroom?" As you all know, contamination of drinking water is imminent. Diarrheal cases increase, some of which can be infections similar to those found in developing countries, such as typhoid, E.Coli strains, Clostridium difficile and cholera. The key to managing these conditions is lots of clean water and electrolytes as mentioned above. Most common overall regardless of disaster or not, viral gastroenteritis or the "stomach bug" is a watery diarrhea with aches, cold symptoms, chills, and nausea and vomiting. These are also treated with rehydration and electrolytes but are not nearly as severe as the above mentioned conditions. I do want to mention one more form of diarrhea, which technically classifies as a dysentery condition, but in light of the earthquake, tsunami, and nuclear power plant disaster in Japan, this condition is worth mentioning. Radiation enteritis is an inflammatory condition characterized by bleeding and painful straining during bowel movements. The diarrhea results from malabsorption due to inflammation of the mucosal lining of the intestines. This condition can persist for 2 to 3 months even after treatment, which is surgery. Yet, avoiding dairy and fats can help alleviate symptoms and promote nutrient absorption. Also, this is the one condition which I will suggest taking loperamide to prevent diarrhea. The diarrheal infections in the wilderness setting are much more manageable than those found post-disaster. Giardiasis and Staph aureus are the most common types found in backpackers. In fact, giardiasis is so common that it is called backpacker's diarrhea. Staph aureus diarrhea is the Mario Andretti of diarrheas. It acts up fast, it moves fast, and it goes away fast (unless you are immunocompromised). 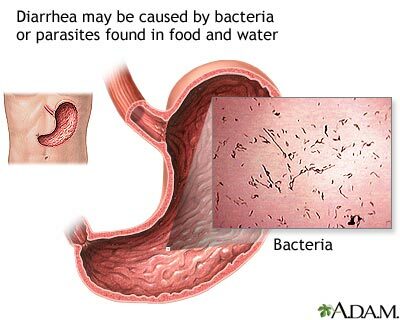 Staph diarrhea usually occurs from improper washing of camping dishes in non-sterilized water. Within 4 hours after ingestion, a profuse watery diarrhea and stomach cramping begin. Doesn't generally require treatment due to the fact that it lasts up to 24 hours in non-immunocompromised people. As for Giardiasis, it's as slow as your grandpa Harold. It takes anywhere from 1 to 2 weeks after exposure for symptoms to start. So if you go camping, don't hold any board meetings or go to classy place 1 to 2 weeks afterwards. Trust me, it won't be pretty. Giardia comes from drinking river or lake water in mountainous regions. I hope you enjoyed this explosively squishy post. Keep the good posts coming - this stuff will be vital for the next 6 or 7 years of tough times after the woes begin out here - and around the world. Thank you! I didn't know that about the west coast! I really appreciate it.